The Short Version: Many scientists once believed it was impossible to study love and explain the process of mating and dating. But more than 20 years ago, an anthropologist, a neuroscientist, and a social psychologist decided to give it a try. Helen Fisher, Lucy Brown, and Art Aaron turned their research into TheAnatomyOfLove.com, a website where visitors can find data about romance. The science-based site helps people learn about the biological components of love and allows the scientists to share findings on the human need to attach ourselves through relationships. “What is love?” is a timeless question with an elusive answer. The question itself has been woven into popular music, plays, films, and novels for decades. No one seems to have a universal way to explain it, control it, or predict it. At least that was the conventional wisdom 20 years ago. But anthropologist Helen Fisher disagreed. She believed there was a physiological base for romantic love and that it was a basic human drive that could be studied. 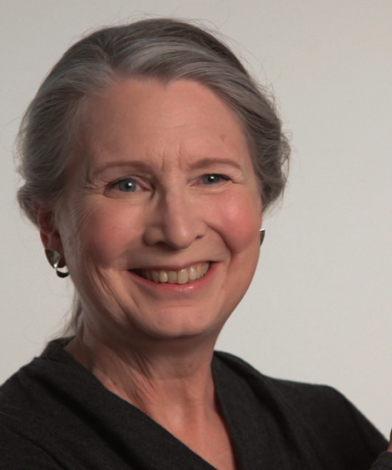 So, she teamed with Neuroscientist Lucy Brown on a project called The Anatomy of Love. 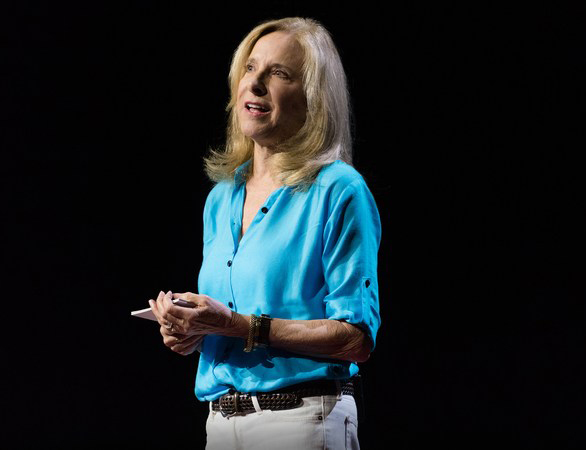 Helen Fisher, an Anthropologist and Co-Founder of The Anatomy of Love, speaks to an audience during a 2016 TED Talk on technology and love. Helen also recruited Art Aaron, a psychologist who studied romantic love, for the project. Each member of the core team used his or her expertise to bring important aspects and perspectives to the studies. On TheAnatomyOfLove.com, visitors can learn all about the research that Lucy, Helen, and the rest of the team have been working on over the decades. They can watch Helen’s TED Talk, take quizzes to unearth insights about their personalities, and find out if love can help them expand and grow into better people. Anyone can learn about the science behind heartbreak as well as the phenomenon of being a newlywed. Users can purchase Helen’s book, “The Anatomy of Love,” and read blogs that help explain everything from the phases of rejection to the connection between adultery and religion. At first, the team of scientists was unsure how to approach studying romantic love. One early study focused on understanding what evoked romantic feelings. The team tested songs, imagined the touch of a person, and looked at faces. They discovered that seeing the face of another person was the most significant stimulus. “When we tried to publish our first paper in scientific journals, there were objections from referees and reviewers. One reviewer said there was no such thing as romantic love, that it was made up by medieval troubadours,” Lucy said. 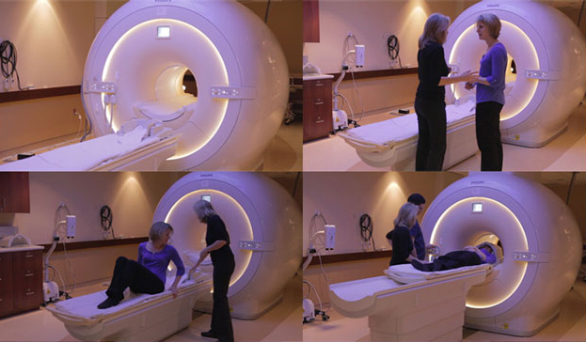 The Anatomy of Love’s research team has gleaned knowledge from more than 100 brain scans over the past two decades. Today, the team behind The Anatomy of Love has published five studies, conducted many others, and given more than 100 brain scans. Over time, they discovered that they could conduct tests on individuals rather than large groups because their hypotheses would still hold true over time. Initially, the group focused on studying the dizzying first phases of love. Eventually, the scientists began studying couples who had been in relationships for a long time, as well as people who had been together for one year. They also examined the differences between people who are interested in falling in love and those who take a more cautious approach. One of the research team’s key findings is that love is connected to the brain’s reward center. It’s similar to addiction in many ways, Lucy said. 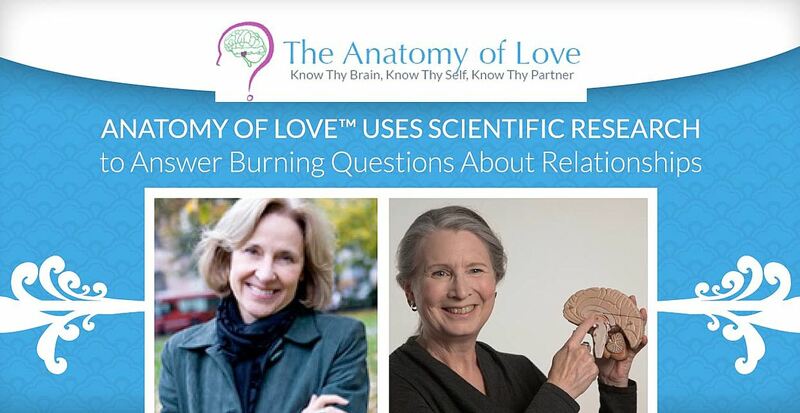 Lucy Brown co-founded The Anatomy of Love to answer questions about the biological components of romance. The team studied couples from both American and Chinese cultures. Nearly all of their findings were the same. They also focused on couples who have been together for a long time — well past the initial romance phase. Of course, the attachment isn’t just for reproduction, she said. Being in a stable relationship can make life easier in terms of protection and pooled resources. Studies show that couples have better health compared to those who are not in stable, long-term relationships. One thing Lucy recommends to couples who want to keep things interesting is to mimic how the brain feels when first encountering romantic love. That means to get the adrenaline pumping, which can be accomplished through everything from traveling to going on a bike ride together. The Anatomy of Love helps people understand the reasons they seek love and relationships. That kind of hands-on advice is at the heart of The Anatomy of Love. The team’s goal is to help people better understand themselves as well as create the lasting relationships for which we yearn.